Hello friends! Long time no see! of you who sent me e-mails during this time and asked about how I'm doing. Here are a few pages of my sketchbook. Every now and then I passed by your blog, wondering where you were.. Happy to know you're fine now! glad to have you back and feeling better! welcome back! I am glad you are feeling better :) I have missed your sketches! Hope you are feeling better. so glad to get a lovely glimpse of your sketch book. Seus trabalhos são delicados e encantadores. Amo aquarela. Parabéns. Some months ago we start sewing as a hobby, to make some fabric dolls to our kids, and we've been visiting your blog since we are start to post our project in the a mamima blog. We love your work. Thank goodness you're okay! I was worried that something had happened because I haven't seen you post for a while, but I have checked back regularly for you. 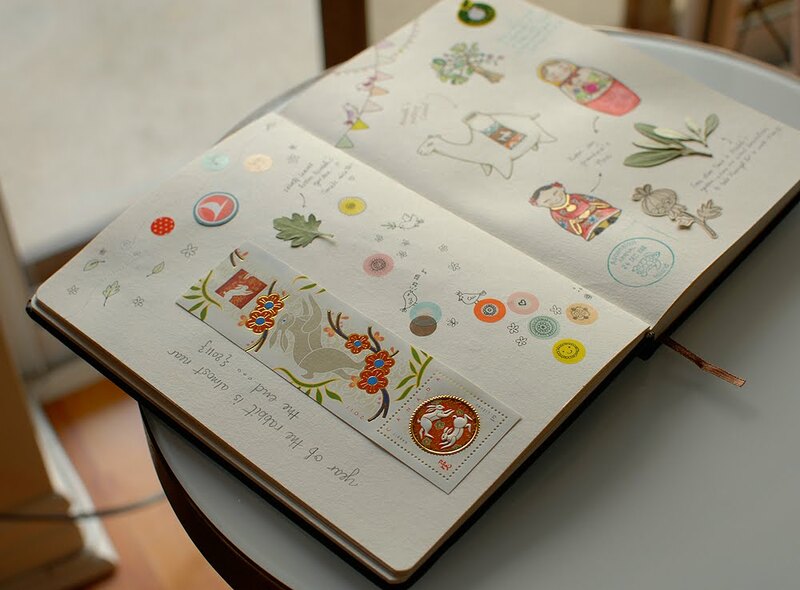 Your sketchbook pages are so magical, they remind me a lot of moleska.livejournal.com 's old work, but more simple and more colorful. welcome back! 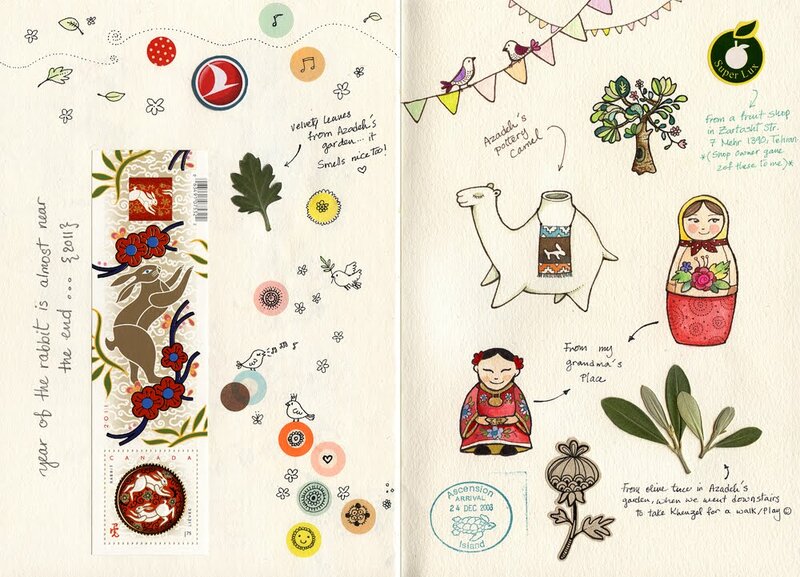 the sketchbook is adorable! 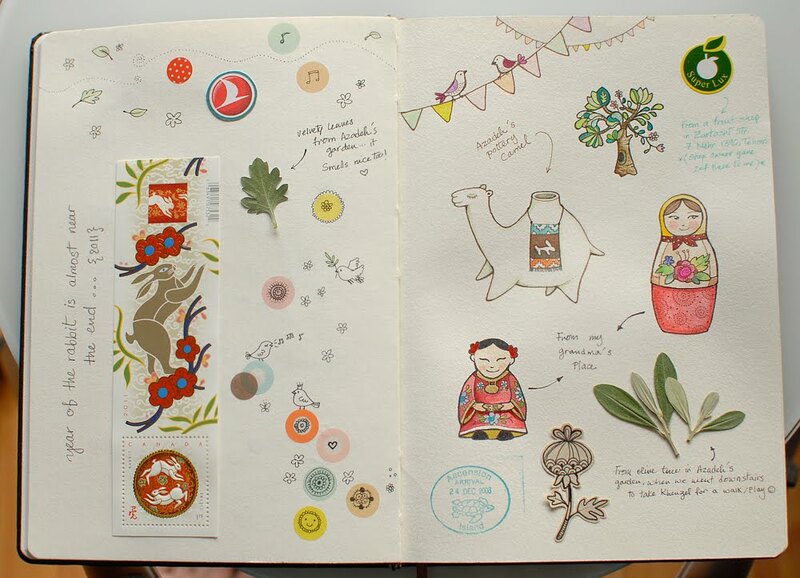 I discovered your blog a few days ago and completely fell in love with your sketchbooks. i felt a bit sorry to see the blog wasn't update but subscribed anyway and now I'm glad to see you're back! :) I hope you're medical issues are just a bad memory now. 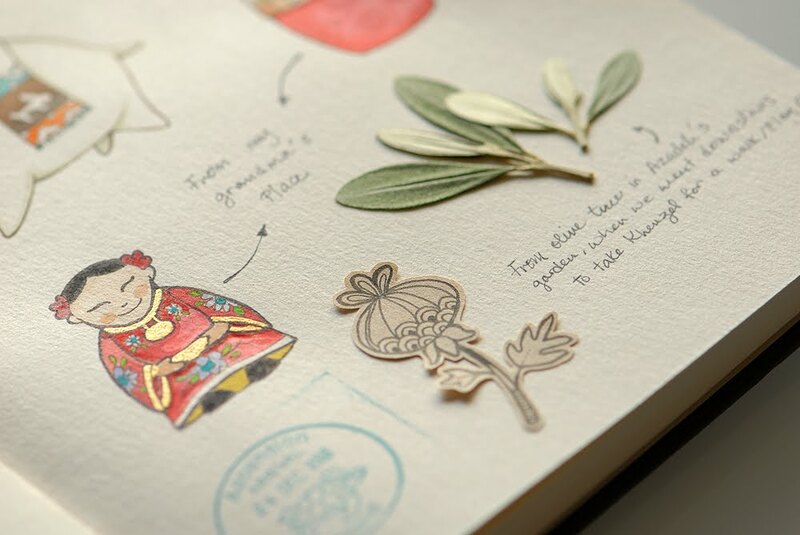 Have a lovely day and thanks for sharing another wonderful and magical page of your sketchbook! So glad and happy to see you back. 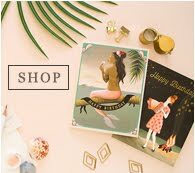 I've been visiting your Etsy stores and oh...I'm just glad you're back. Glad you're feeling better.Please take care and I love your new drawings... beautiful as usual! Good to have you back, Afi! Hope all is fine with you. glad you are fine, and back. I'm glad you're ok now! Hi Afi! I'm really happy to hear from you again! In the past months I wondered where you were ;) your sketches are always wonderful, I'm totally in love with them! Dearest sweet afi, so HAPPY to see a new blog post from you and know that you are OK! I was so worried and i was gonna drop you an email! So sorry to hear about your medical issue! T_T So glad you are doing well now and i wish for speedy recovery for you! Hugz hugz huzg!! Have a lovely merry happy day and love to you..lots of it! I just came across your blog and fell in love with it right away... I love all your shops too... Looking forward for more beautiful and inspiring posts... cheers! Hello Afi! I am so happy you are back and doing better! Take care! Your works are inspiring, thanks for sharing.